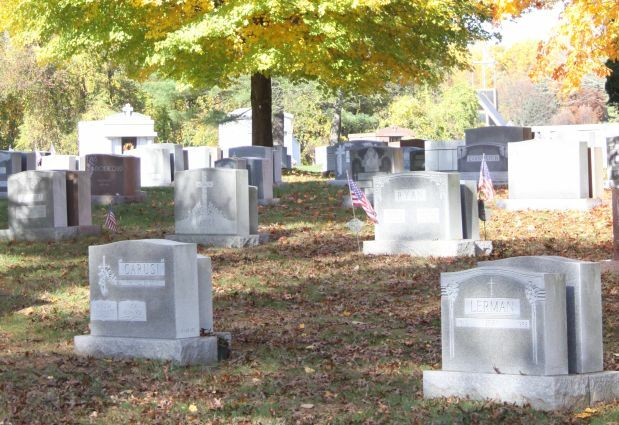 NEWARK, N.J. (CNS) — A public interest law firm has filed a federal case on behalf of the Archdiocese of Newark challenging a New Jersey law that bars church-run cemeteries from selling headstones. “This case addresses one of the most important unanswered questions in constitutional law: how far government power can act for primarily private gain,” said Jeff Rowe, senior attorney for the Institute of Justice. The Arlington, Virginia-based institute offered to litigate the case without charge after New Jersey Gov. Chris Christie enacted legislation last year barring the 11 archdiocesan cemeteries from selling headstones to parishioners. Christie and Attorney General John Hoffman are defendants in the action. The law was passed at the behest of the New Jersey Monument Builders Association, after the trade group lost a 2013 challenge in state court that upheld the rights of the archdiocese’s cemeteries ministry under long-standing state law, according to the suit. “This is one of the most egregious examples of economic protectionism in the country,” said Greg Reed, another institute attorney, adding that the “sole purpose” of the new law was to limit economic choice, stifle competition and enrich monument builders. Newark Archbishop John J. Myers, who attended the July 21 news conference explaining the filing, branded the law arbitrary and unconstitutional. He also noted how the law infringed on a fundamental church ministry. Catholic Cemeteries, the archdiocese’s office that administers its cemeteries and mausoleums, was challenged only after it began offering inscription rights to headstones in 2013 in response to consumer demand, said Andrew P. Schafer, the office’s executive director. However, it is only an option; cemetery customers are free to contract for such services independently, he said. The income generated by the sales helps pay for perpetual care at the cemeteries. One of the plaintiffs, Emilio Mazza of Edison, said he was angry that the law will prevent his sons from getting the same level of service he has received in the past five years since he built a mausoleum for himself at St. Gertrude Cemetery in Woodbridge. “The great thing is they take care of it forever,” Mazza said, adding that he believed the law would mean his sons — for whom he bought two lots for future use — will not receive the same care. The attorney general’s policy is to decline comment on litigation. Frank is associate publisher of The Catholic Advocate and editor of the New Jersey Catholic, the news outlets of the Archdiocese of Newark.